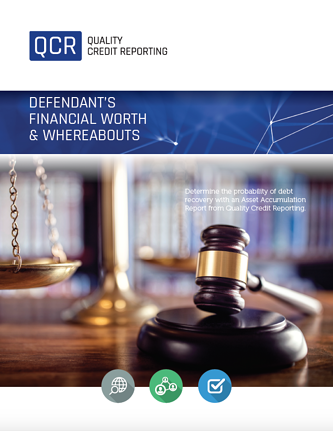 Our Asset Accumulation Report is an excellent decision-making tool for lawyers and their clients as it can provide answers prior to launching the action, entering into settlement negotiations or satisfying the judgment. Determining the defendant's assets can be valuable information when preparing for an Examination in Aid of Execution and for Discovery. What Assets Can We Identify? What Liabilities Can We Identify?